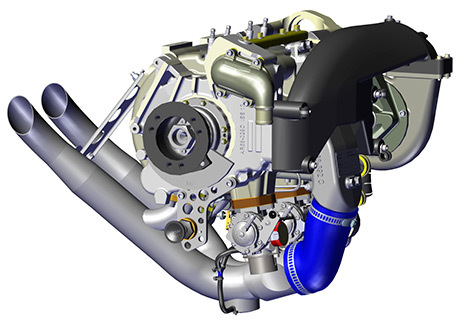 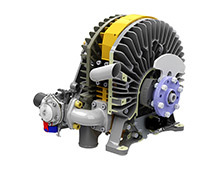 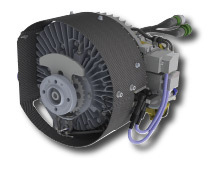 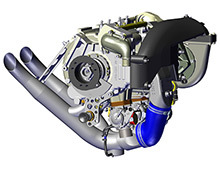 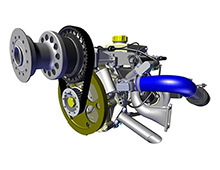 The AR682 engine has been developed to power UAVs which have limitations on propeller diameter and thereby cannot use a reduction drive. 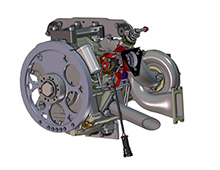 It provides 75 BHP at 6000 rpm in an ultra-compact envelope. 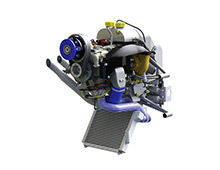 In 1994 this power unit with all accessories successfully completed a customer witnessed 150 hour FAR 33-type endurance test.